Great having my brother in town this weekend. 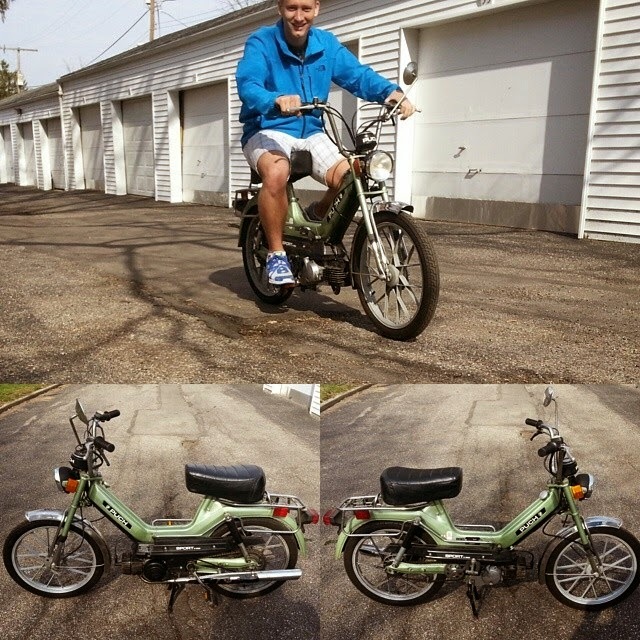 I finished up the green bike this morning and I have a buyer lined up. Should be going to a good home. My brother Marcus brought over his motorcycle. 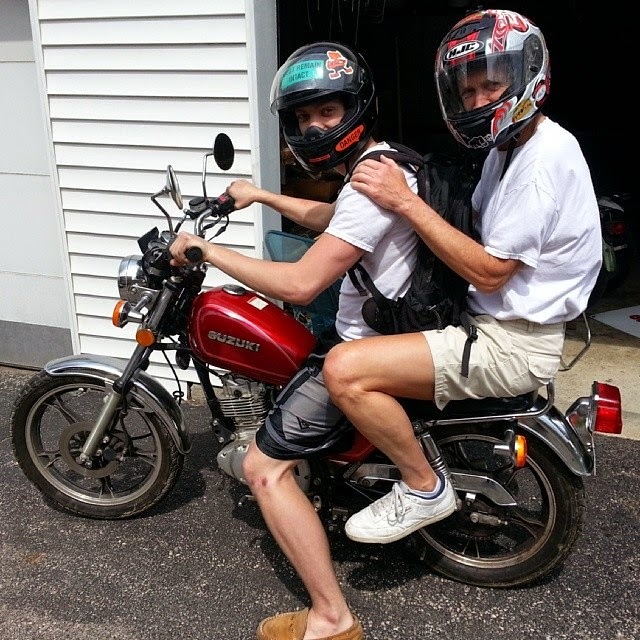 My parents came to town to take Clark back to Wooster since he rode his bike down. They also were taking up some furniture to Clark's. Anyway... I was blown away when my dad wanted to ride on Marcus's motorcycle. I insisted he wore a helmet despite him saying he didn't need one. We only went a mile up High St to lunch, so it wasn't a long ride. So yes, snow on the way for Tuesday. The models ramped up in the cold air and intensity of the snow with today's models. So I hope you enjoyed the warm, albeit windy, weekend. Winds will stay brisk overnight into Monday and Tuesday. Rain showers/storms move in midday Monday and will continue on and off through the day. Monday night our temperatures fall very quickly and we will transition over to a wintry mix and eventually all snow by daybreak Tuesday. Light snow showers will continue through the morning Tuesday then some clearing in the afternoon. Accumulations will be limited due to warm, wet ground. North and Western Ohio will have the possibilities of seeing up to a couple of inches before it quickly melts, but South and Eastern Ohio will see lesser amounts. The snow will pretty quickly through the afternoon with highs near 40. We see sunshine return quickly though for the middle of the week. Have a good one!